Sam Steinberg '17 and Caroline Laplaca '17 pose outside of Calarco Library. Every Thursday, ninth grade students start the day off in their advisory groups, enjoying some baked goods while talking about their experiences at Hopkins with their adviser, other advisees, and Senior Mentors. One of these Senior Mentors is Tatiana Niebuhr ’17, who is also a captain of the fencing team. 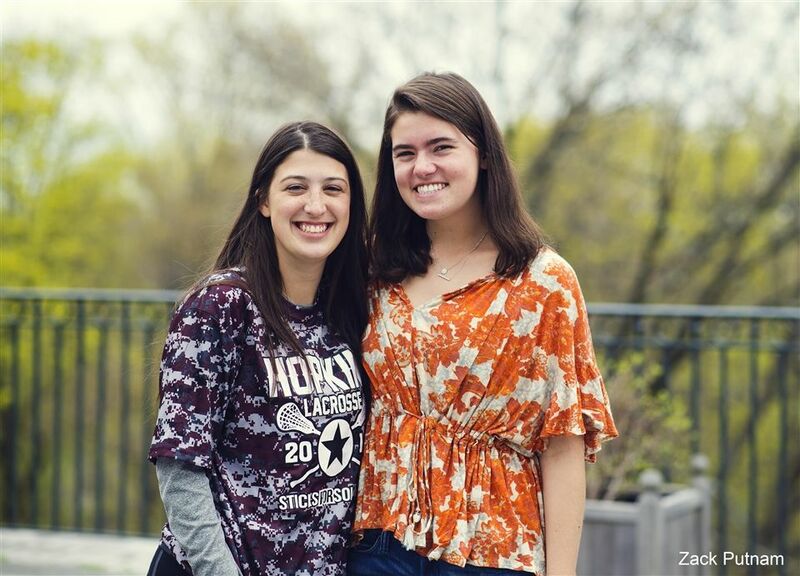 Although advisers are crucial for giving advice from the school’s point of view, Senior Mentors provide a different perspective into the Hopkins lifestyle. Balancing school, athletics, activities, and fun is challenging, so why not talk to an older friend who has survived these struggles? In term one, her responsibilities included visiting the advisory groups once a week and helping the advisor. In term two, she led the advisory group on Thursdays by herself. “I mainly try to keep advisory group fun and focused, and I check in on all of my advisees,” she elaborated. Advisory group activities included playing the games “Heads Up,” “pick-up sticks,” and “the States Game,” along with discussions about everyone’s recent school events. Lydia McGrath ’17 wanted to become a senior mentor since she was a freshman, herself, when her adviser and school librarian, Faye Prendergast, mentioned that she would be a perfect fit for the job. Stemming from that early interest in the position, McGrath is now the Senior Mentor for science teacher Emilie Harris’s ninth grade advisory group.